℗ 1964 Bob Gaudio & Frankie Valli d/b/a The 4 Seasons Partnership, by arrangement with Rhino Entertainment Company. All Rights Reserved. Marketed by Rhino Entertainment Company, a Warner Music Group Company. 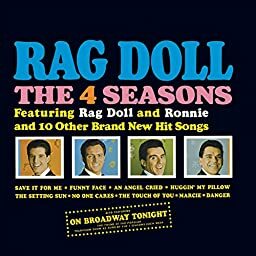 © 1964 Bob Gaudio & Frankie Valli d/b/a The 4 Seasons Partnership, by arrangement with Rhino Entertainment Company. All Rights Reserved.